World Peace Plan: Track Our Progress: Everyone, move back one space. 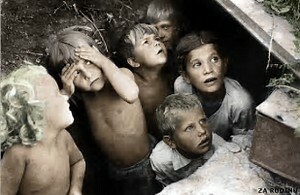 All around the world, children are being dragged into conflicts. Children are the most vulnerable targets, and even though the power games continue until an innocent person is crucified or sacrificed, that is oftentimes not enough to keep the children safe. They become child soldiers or victims of atrocities. The plan for world peace includes several ways to protect the children. We offer incentives to the world leaders by making the power a nation has based on population. When the multinational delegation comes together at the conference in Europe, they will consider the definitions of words--as explained in "A Manual for the One World Government," a book I channeled in 1999 with a seventh dimensional entity named Seth, which accompanies the U.S. Constitutional Amendment proposal, and they will decide whether to include children--and woman-- in the definition of "mankind," or just consider adult males to be "man." As the battles of Armageddon within families and within the organization rage on, the children are seeking refuge. There are people whose definition of mankind doesn't include women and children, and because they think only of themselves, they are dragging children deeper into the crisis. The power games are oppressive to the people. We are not placing a judgment on anyone, because everyone plays the games. The games are bad, not the people, so we must separate out those who are playing the games on purpose because they function on the lower end of the evolutionary continuum from those who are willing to participate in the framework based on the principles of the cooperation of nature. At this time, as we bring in the people who will become the independent members, the rule we have is that children are welcome to request membership in our organization, but they must have one parent willing to share his or her talents and gifts as an independent member. What about the people who will just take the plan and leave everyone else out of their bogus organization? They would like to steal the plan, or destroy it, or be part of it in some way, but not enough information has been introduced to create any part of it, so while they know about the plan, they are not actually part of it. They are equal to everyone else who is dragging people into the abyss or is being dragged into conflict around the world. If someone has pirated the books, only enough have been completed to open the idea to debate. Not enough to demonstrate one's capacity, only one's lack of capacity. Only one person can prove they are hers. (Everyone, move back one space.) The books are "channeled messages from God on how to overcome any crisis," so they are worth a fortune to someone, but only the person who channels them. To the rest of the people on the planet, they are only worth something to the people in crisis. Anyone who pirates them will demonstrate they don't understand the principles. I can only sell my amateur-quality books to independent members to open the plan to debate--that places our independent members first in line again-- and because it is not my responsibility to give people their talents and gifts--that is up to our Creator--or a project--that is up to Seth, I can only channel them, sharing my own talents and gifts with others. Two other channels must be willing to share their talents and gifts with others, and work with me to create the crisis center. The first step of the Constitutional Amendment project is the creation of the crisis center. As we demonstrate that we can help people rise out of their crisis, we can start to draw in the other channels around the world and help them to create crisis centers in their own towns. It only takes a little gentle guidance to get the children back on track. As Jesus said, "suffer to bring the little children unto me." I have no intention of taking custody of any child, but to just offer them a chance to become part of the plan for world peace. The people who are dragging them intentionally past the point of gentle guidance will force the children to go all around the planning circle, including their end of life crisis, so they will also face their end of life crisis because of it.